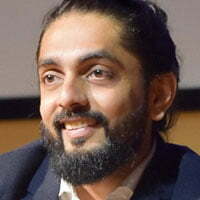 Mumbai-based media group IN10 Media is preparing to preview a new SVoD service for premium documentaries and is ramping up its acquisitions strategy ahead of a global consumer launch. IN10 will showcase DocuBay at MipDoc and MipTV in Cannes next week ahead of a launch to consumers in the summer. It will first be available on the App Store and Google Play, with availability on other platforms expected soon after. Premium docs from countries including France, the US, Norway, India, Australia, Cambodia, Turkey, and the Netherlands have already been picked up and will be available to view. The service will feature docs in categories including Nature, Action, Travel, Culture, and Science. DocuBay says it intends to further refine these by analysing watching habits and consumer surveys of its early adopters. Akul Tripathi, chief operating officer of DocuBay, is on the jury for two International Pitch sessions at MipDoc.